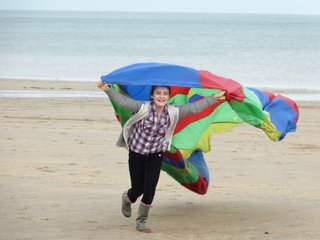 We seek to inspire children to love the beach environment for adventurous play, artistic and linguistic inspiration, relaxation, sand and water based activities and family fun. They will appreciate the changing weather and tides, the wildlife that survives there and the role the sea plays in our natural and cultural heritage. They will explore this changing and rich environment while understanding the hazards and knowing how to be safe and keep others safe. On the water they will harness the power of the wind, feel the motion of the waves, hear the frapping halyards of flapping sails and taste the salt spray on their faces. They will see the land as never before as they become part of the scene. Sailing, rowing, navigating and talking like old sea dogs they work as a team to cross Colwyn Bay taking turns to take the helm and captain their own boat. Our approach develops the emotional intelligence of the individual child. Time and thought are used to allow social skills, self-awareness, self-motivation, self-regulation and empathy to grow. We encourage children to become reflective learners with enquiring minds.